FabriTRAK® was invented in 1977 and quickly became the market leader in providing upholstered and acoustical wall treatments and finishes throughout the United States. Today, FabriTRAK® Systems Inc., headquartered in Mount Laurel, New Jersey, has an active licensed installation dealer network throughout North and South America, Europe, the Middle East, the Pacific Rim and Asia. As an authorised FabriTRAK dealer, Specialty Cinema can supply the complete range of FabriTRAK acoustic stretch fabric wall systems to the cinema industry in Australia, New Zealand and Southeast Asia. 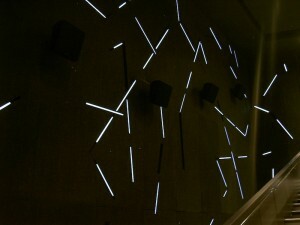 Acoustic stretch fabric wall systems can be used to create elaborate designs including LED light tracks.